DESCRIPTION AKA Eastern Orange Albatross. 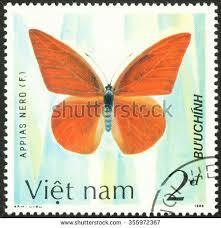 Bright orange butterfly. Notice pointed top wings - this butterfly has a very rapid flight motion and difficult to stock in A1 condition.